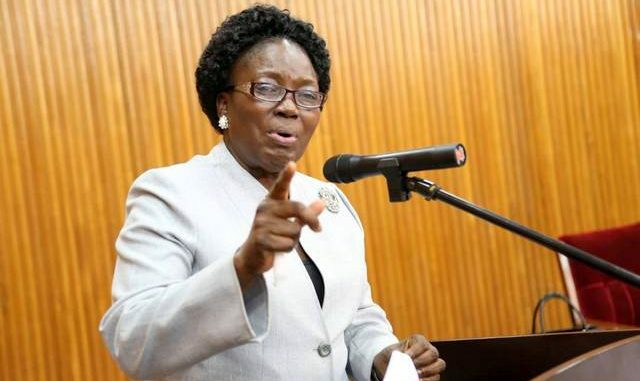 PARLIAMENT – Speaker Rebecca Kadaga has accused the Uganda People’s Defence Forces (UPDF) of chasing out the fishing community from Lake Victoria in what she says would privatize the lake. The Speaker made the remarks during today’s plenary sitting while commenting on a matter raised by Buvuma Island MP, Janepher Nantume after accusations that the army is violating rights of women in island communities, after imposing a ban on smoking of fish. This isn’t the first time the Speaker is lashing out at UPDF over their torture of people in fishing communities, in January 2019 she revealed that one of the Ministers attacked her in office demanding she stops talking about the army and although she remained mum about the particular individual, Kadaga lashed out at fellow NRM party members OF seeking to protect the image of the Party and army at the expense of Ugandans who were suffering at the hands of the army. During her submission on the matter today, Natume said that despite the fact that the men have been in charge of the fishing and the women were left with the duty of smoking fish to get the income, the status quo changed with the coming on board of the Army on the waters, whose changes have left women jobless. The Buvuma Island Legislator on Lake Victoria questioned why UPDF that was sent on the lake to curb illegal fishing has set its eyes on the banning of smoking of fish, even when the laws of the country provide for smoking al a legal method of preserving fish.